Here’s What The Doctor Who Companion Thought of The Doctor Falls! Hmm, what’s that, dear boy? 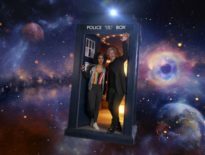 A collection of mini-reviews about an episode of Doctor Who, hmm? No, no, no, I’m not sure that’s a good idea, Chessington. What’s that, you do it for every episode and not doing it for the finale of Series 10 would seem odd? Yes, yes, quite so – indeed, mm-hmm! Ah yes, but is all said and done, hmm? Let’s ask the crew of the Doctor Who Companion for their further thoughts, shall we? Mm yes, what an idea! What an idea! I’m glad I came up with it. It just wasn’t very good, really, was it? 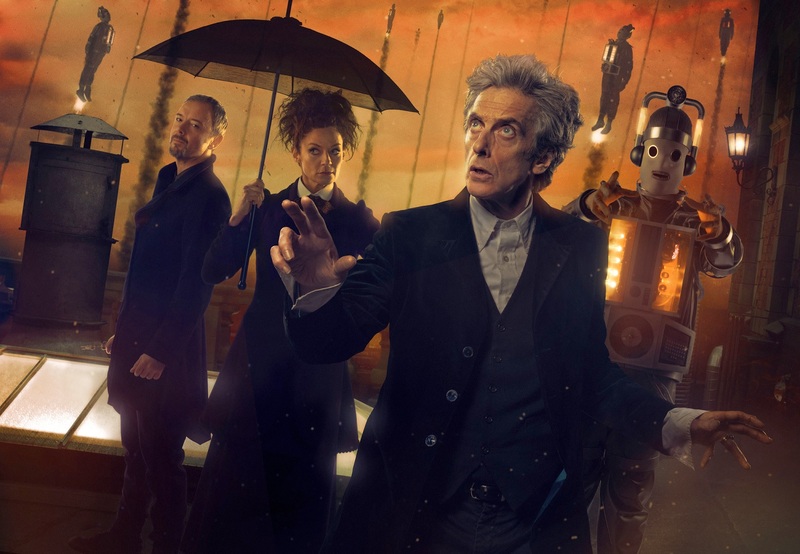 But the real problem with The Doctor Falls – aside from its failure to live up to the generally tremendous series that preceded it – is that Moffat once more sacrifices story for crowd-pleasing spectacle, Bill’s tedious (and overwrought) resurrection a depressing reminder of Clara’s. This is ultimately about pushing the envelope as far as possible before abruptly dropping it in the shredder: all you end up with is a bunch of plain white confetti, of little use to anyone. 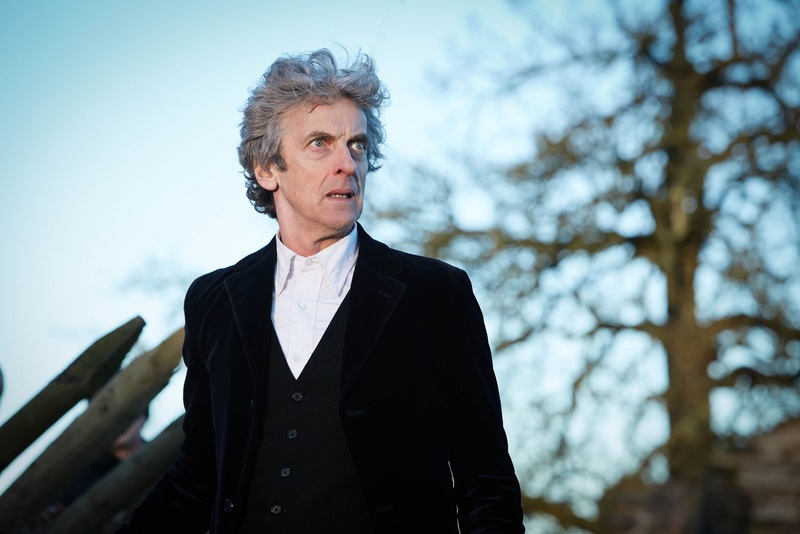 “Doctor Who,” says the chief writer, “shouldn’t really be about death. I don’t believe it’s the kind of show that says there are bitter, twisted, nasty endings because it’s not.” Keep telling yourself that, Steven. A new Moffatian classic – part 2. Quite a contrast to last week’s horrifying thrills, but in a spectacular way. 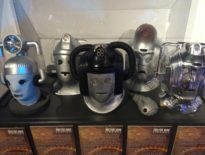 The three Time Lords unite to battle against the ultimate collective of Cybermen (in three different designs), and this is full of epic gunfights and explosions that we occasionally see in the Moffat era; in contrast to RTD’s. Seems to me that Rachel Talalay enjoys directing action-driven sequences for Doctor Who, just like the two previous finales that were also – coincidentally (?) – 60 minutes long. That is what I enjoy about extended episodes, which make the storytelling epic(er) and exciting(er)! 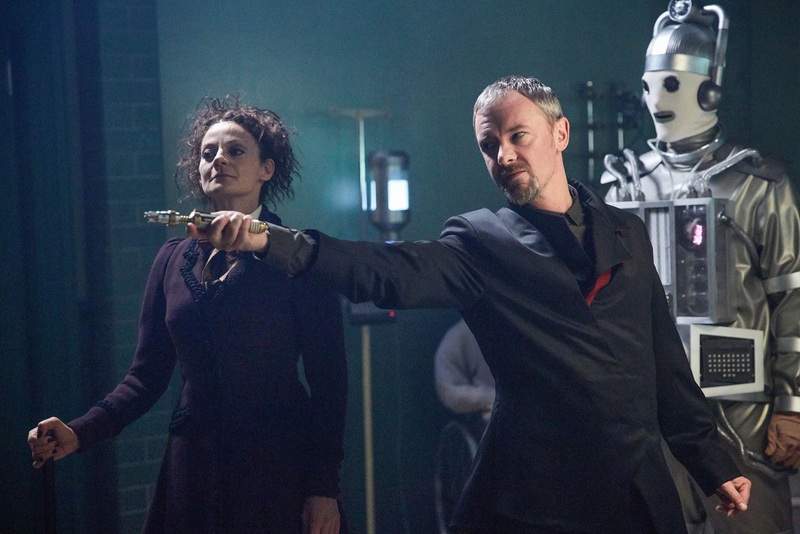 I absolutely loved the chemistry between John Simm and Michelle Gomez, from the memory time-syncing bantering to the heartbreaking literal backstabbing (pardon the pun). What impressed me the most about Harold Saxon’s return is his Delgado-esque beard mixed with Ainley’s recurring returns in the 1980s. Even though they were previously portrayed as antagonistic, for a very long time, it seems to me that they have redeemed themselves for this occasion, and that is one positive outcome for the two Masters. 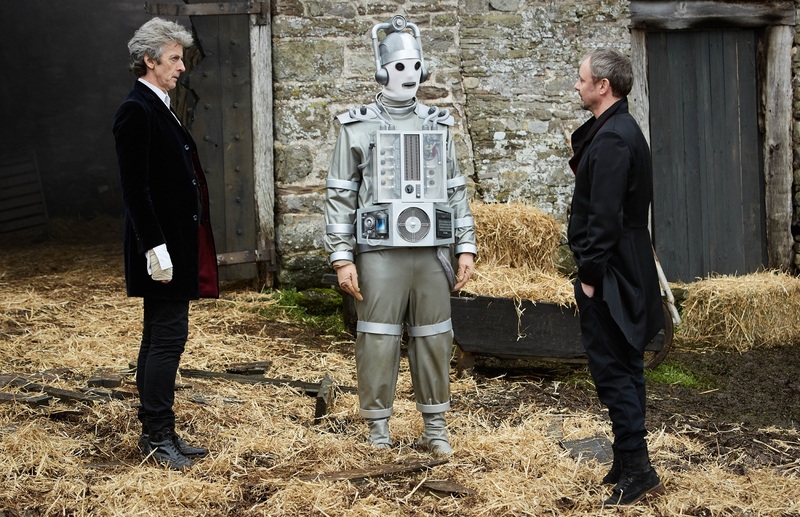 Their character arc could also act as a ‘pre-se-quel’ of sorts to Dark Water/Death in Heaven, due to the timelines of both incarnations formulating their Cybermen supremacy agenda; that’s up to the fans to speculate and draw their own conclusions. It also came as an unexpected surprise when the Doctor mentioned Donald Trump by name, right in front of the two Masters, as that reference reflects Simm’s hilariously eccentric “reign” as Prime Minister who invaded our world – that made me burst out laughing to tears! Oh, Bill, what will we do without you? The frequent shot-shifting of Bill, from Mondasian Cyberman to normal human (vice versa), was one of the cleverest aspects of both the plot and the production. I initially thought that her friends managed to free and get her out of the suit without causing further injuries. This is one tear-jerking subplot that I would never ever forget for the rest of my life; even with the surprising return of Heather (from The Pilot) who uses her Bad Wolf style deus-ex-machina to full human again, unlike Rose giving Captain Jack Harkness immortal life. Whatever happens to them both, it doesn’t look like their story is over. Moving onto the didn’t-see-it-coming cliffhanger ending, I honesty couldn’t believe my eyes at all. David Bradley, the man who we know as the uncanny Bill Hartnell from An Adventure in Space and Time, officially enters the Whoniverse. I wasn’t sure whether he was going to be asked to ‘reprise’ the role, but this as the very original incarnation – turns out many fans’ dream came true after all. Was this ending a deliberate callback to The Tenth Planet? Well, both incarnations were still on the snowy planets when they regenerated. And it’s very clear for me to point out that this is first ever episode to feature multiple Doctors and Masters, even though they did not meet altogether, which is – fair to say – a tiny bit sad. With only five months to go until Christmas, what will Moffat (in disguise as Santa) throw down the chimney top? Who knows? My initial reaction to The Doctor Falls was pretty much the same as Death in Heaven and Hell Bent: that was dreadful. I’ve had over a week to cool down, but haven’t had the guts to rewatch it again (and I normally watch each episode two or three times in the 7 days following transmission). I’m afraid it started out fine, and just got worse – with brief moments of real lovely storytelling. I don’t believe the Doctor’s plan consisted mainly of “I’ll blow myself up and let some humans escape to a higher level”. 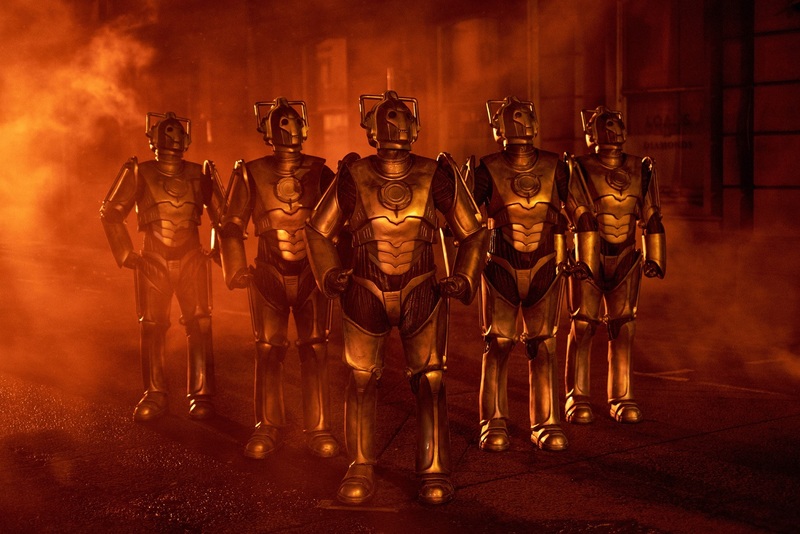 (Especially, given the time dilation, the Cybermen won’t really take that long to create an army again. Within a generation, the humans who have escaped with Nardole will be attacked once more, and they’ll just have to hope Nardole has prepared them well enough.) It was like he was begging for regeneration – and then inexplicably refused to do so. Just bizarre. And I can see Moffat trying to create parallels between the First and the Twelfth Doctor’s regeneration, with that cliffhanger that presumably occurs in the time the Doctor goes back to his TARDIS in The Tenth Planet. I can just see him telling the universe that he doesn’t want to go. But it was a mess. And this is coming from someone whose favourite era of the show was under Moffat’s tenure! Yet this feels so adrift from the series I love – especially depressing as Series 10 has mostly been a solid run of stories. That’s what’s so frustrating about The Doctor Falls. Instead, let’s focus on the things I liked. John Simm. He’s just exceptional. I’ll be gutted if this is the end for him, although I also really liked him wheeling the Doctor around in a wheelchair, just as he did in Last of the Time Lords and The End of Time. Also: Nardole, given his time to shine. Given something to do! Yay! I’m now annoyed he’s gone, but his last scenes were perfect. As much as I’d predicted Heather’s return, it wasn’t pulled off very well. I’m not complaining too loudly about that though, because no show can have too much Stephanie Hyam. Not for the first time I found it a rather disappointing conclusion to the very promising opening of a two-part season finale. All that creepiness of the hospital and the slow-dawning terror of cyber-conversion was replaced by a rather sketchily drawn pastoral setting where the Cybermen served only as cannon fodder. And surely anyone who has watched the programme for the past few years would have felt more than a twinge of déjà vu at the Doctor’s lonely stand in defence of an isolated community (The Time of the Doctor, anyone?) and Bill’s going off with a mysterious female to explore the galaxy, not dead but not quite alive either (Clara… in the last series.). There were some nice moments – I found the scenes where Bill realises what she’s become moving and wonderfully acted – but, although it was fun to see the programme do a multi-Master story for the first time, I was left wondering why the character needed to be in this story. And there were a surprising number of loose ends. Why is the Doctor so insistent that he mustn’t regenerate? (It’s not like he hasn’t been through it before.) Will Bill ever find out he didn’t die? What’s going to happen to Nardole and the Waltons on the ship? If Moffat weren’t leaving at Christmas he’d no doubt come back to at least some of these a couple of years down the line but it’s hard to imagine they’re all going to be wrapped up in the hour or so of screen time he has left. Finally, I may as well throw this one out there because it’s starting to bug me… if everyone accepts that Big Finish’s Spare Parts is one of the great Doctor Who stories, why doesn’t someone just commission Marc Platt to adapt it for the TV series rather than continue to nab bits of it for inclusion in less good episodes? Overall, my opinion of The Doctor Falls is somewhat bizarre. I loved it! I also hated it! 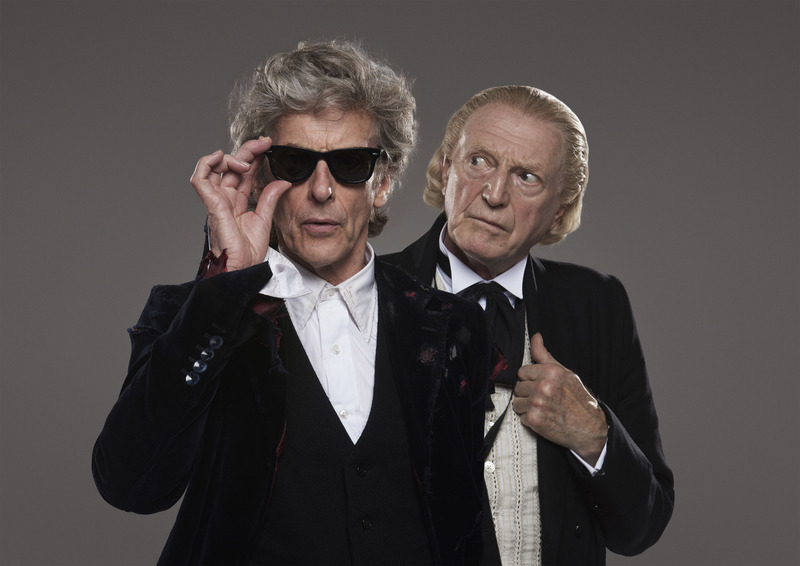 There was so much to love about this year’s finale – Nardole, CyberBill, the Missy/Master love-in, Cybermen of different eras, Capaldi’s performance, the Master’s swansong, the thrill of that snowy epilogue… but the story that was supposed to underpin all of this was just kinda “meh”. There’s a threat from below decks. Nardole does some trickery. Cybermen get blown up. And that’s about it. As I mentioned in my full review of the previous episode, World Enough and Time, I was really hoping they didn’t throw away that superb setup this week, but that is exactly what they did! The creeping tension, the body horror, the mind-bending physics of gravitational time dilation – all thrown away so we can blow up masses of Cybermen… again! 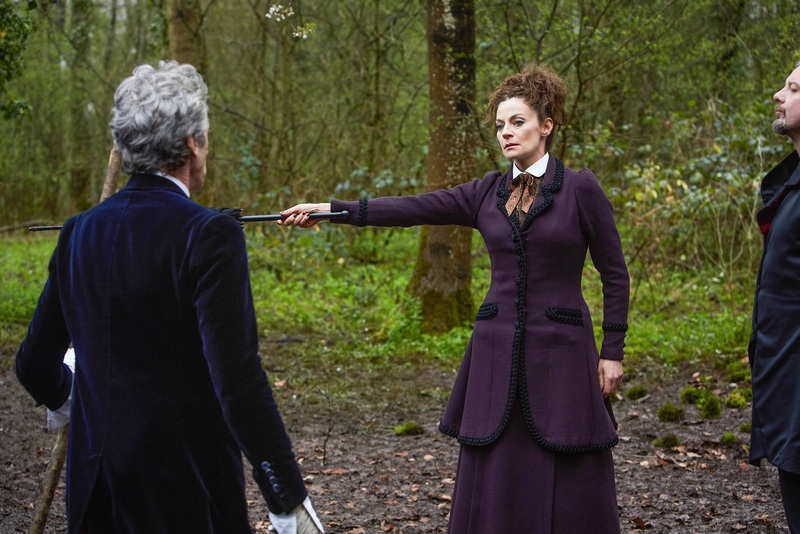 Ask yourself: would this story have played out any differently if the Master/Missy hadn’t been there? No. So, you have to ask, what was the point of them being there except to have some sort of existential crisis away from the action? It scores VERY highly on the squee factor, but low on story. So I give this a B+ out of 10. See! I’m so messed up I can’t get my scoring system straight! Oh dear. Judging from the DWC Collective, The Doctor Falls didn’t go down too well. But what did you think, dear readers…?